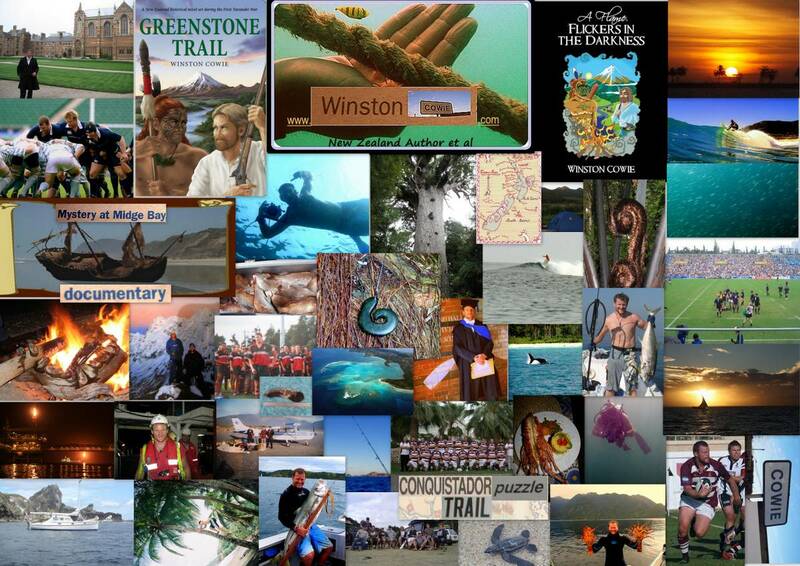 Release of Greenstone Trail by Winston Cowie and revamped website! An exciting day. 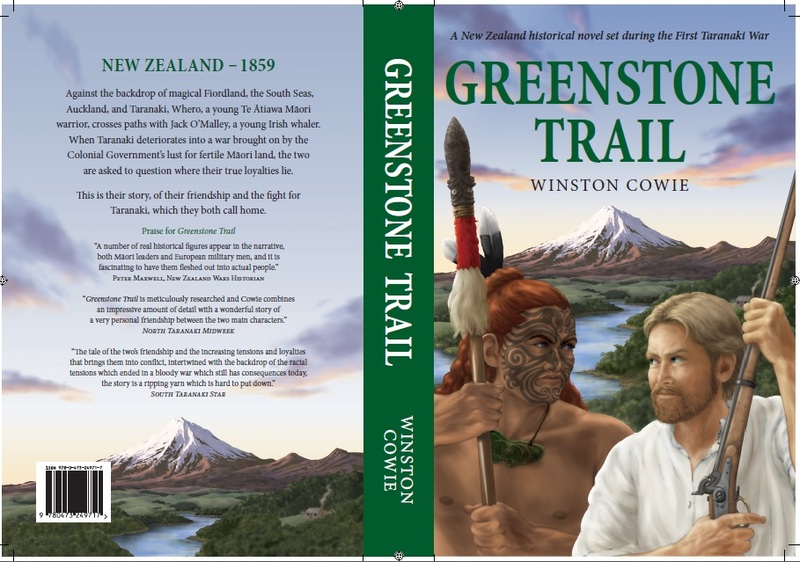 The release of the New Zealand historical fiction novel Greenstone Trail by New Zealand author Winston Cowie, as an ebook. Check out the cover! You have spoken and I have listened. You all really enjoyed reading New Zealand author Winston Cowie’s New Zealand Land Wars historical fiction novel ‘A Flame Flickers in the Darkness,’ some even saying that it does for New Zealand historical fiction what Wilbur Smith does for Africa. I feel privileged and inspired to receive such kind words from people whom I have never met. You also said that because the novel is of such epic proportions and covers such a significant number of events and characters, that it would work better as two separate books. Both are set during the New Zealand Land Wars (also known as the New Zealand Wars and Maori Wars), which took place between 1860 and 1868, when the indigenous New Zealand Maori and colonising British were fighting what was the war for New Zealand. Greenstone Trail, which spans events in Fiordland, the South Seas, Auckland, and the First Taranaki War, has been released as an ebook this year (2013). You can purchase your ebook copy on Amazon Kindle, by clicking here. Within the month it will also be available on Apple Ibooks so you can download it onto your ipad! Flames Flicker, which spans the Invasion of Waikato, the Chatham Islands, East Cape, mystical Ureweras, and Second Taranaki War, will be released as an ebook in 2014. Only 500 copies of the original epic story, A Flame Flickers in the Darkness, were ever printed. For New Zealanders, there still might be some hard copies available online at Fishpond,or Whitcoulls. For international sales, please Contact Me direct. Grab one of the originals today; you might get lucky. And hard copies of Greenstone Trail and Flames Flicker may be available in due course! The market must demand these hard copies first! That’s you. Please, send me a comment via the Contact page, or a Facebook ‘like,’ on the Reviews page, if you feel inspired to. If we can come up with enough, we might just be able to get hard copies of this epic New Zealand historical fiction series made. Finally, thank you for your comments; they have inspired me to take this next step with my New Zealand historical fiction novel, now novels! And please, for those that haven’t, read about the New Zealand Land Wars, written in an interesting historical fiction format. They are such a fascinating part of New Zealand history yet they are not well known about because they are not comprehensively taught about in New Zealand schools, despite being an important part of our heritage. Be informed and learn about New Zealand’s past. Interesting events; fascinating people; our ancestors and whakapapa. To mark the launch of Greenstone Trail by Winston Cowie, and to more accurately reflect my creative works, I have revamped my website. It is the home of all things relevant to my work as a New Zealand author and (now) documentary producer. Its purpose is to be a place where you can learn more about these creative works. Adventure; Anthropology; Camping; Environmental Policy; Family; Friends; Hiking; History; Human Rights; Inspiring people to chase their dreams; Law; Marine Science; Natural History; Ocean; Outdoors; Rugby; Sailing; Scuba-diving; Spearfishing; Surfing; Travel; Underwater Heritage; and Wildlife Conservation. I have also created a background collage to give you a taste of what I am about:. 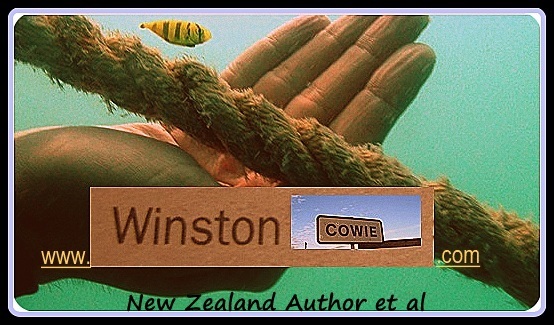 Www.winstoncowie.com is also interactive and contains a ‘Reviews‘ page where you can leave a comment on my historical fiction or documentary work. Please do! Alternatively, please Contact Me. Enjoy sharing in my passions and please contact me for writing or documentary queries.